Super Suit (Uber Protection + Dive Housing for HERO5 Black). Suit up your HERO5 Black with Super Suit for extreme outdoor activities and deep-waterdiving. The included Waterproof Backdoors provide protection to depths of 196ft (60m) andalso safeguard against flying debris, gravel, dirt and small rocks. The flat glass lens deliversmaximum image sharpness above and below water. 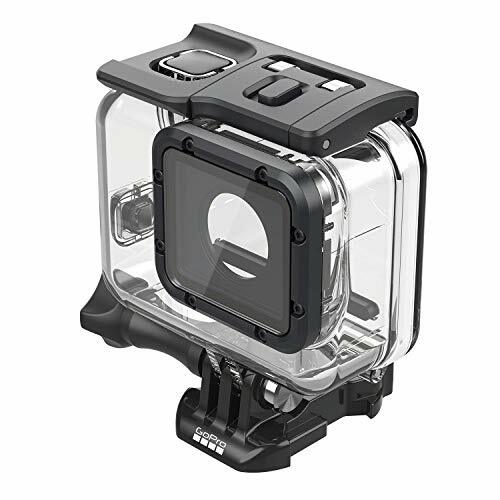 If you have any questions about this product by GoPro, contact us by completing and submitting the form below. If you are looking for a specif part number, please include it with your message.